Option to play your own music also added. Guerrilla Games’ Horizon: Zero Dawn has a new update that adds some much requested features while also fixing a number of different bugs. Update 1.12’s biggest new feature is the ability to leave treasure chests behind with items you don’t want. The other big feature is the ability to play your own music instead of the game’s official soundtrack. So if you want to hunt giant robot dinosaurs with Ace of Angels blaring in the background, go for it. The rest of the update correct issues like miscellaneous crashes and issues with progression. For instance, in “The Point of the Spear”, it would be possible to leave the quest area and get stuck, thus preventing you from advancing forward. There are some light spoilers in the notes so if you haven’t finished the game, proceed with caution. 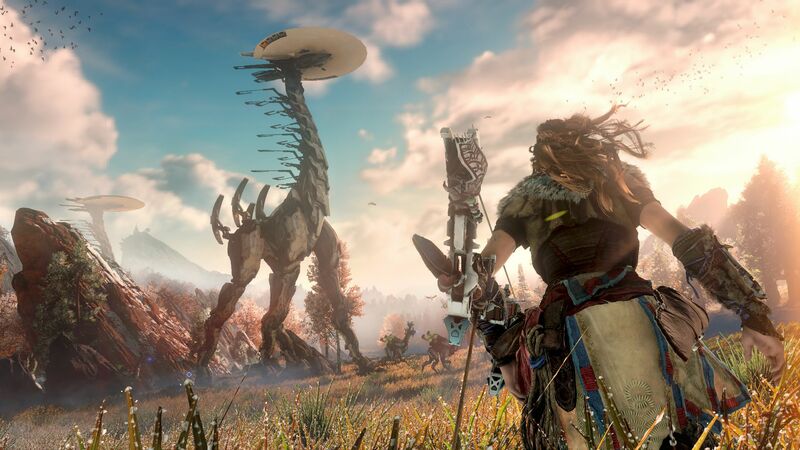 In terms of content, Horizon: Zero Dawn isn’t done just yet. Guerrilla Games has already confirmed that it’s working on story DLC for the game. What are your thoughts on the new patch though? Let us know in the comments.